Pick-up from Chennai Airport or Chennai Rly. 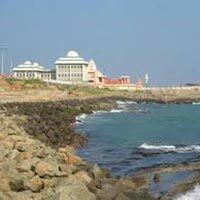 station and proceed to check-in at hotel and re-fresh - Afternoon Chennai Sight seeing then stay night at Chennai. After breakfast proceed to Kanchipuram temples, then Mahabalipuram sight seeing. Evening over night stay at Pondycherry. After breakfast proceed to Chithambaram and after sight seeing evening poceed to hotel and night stay at Kumbakonam. After breakfast proceed to Tanjore and Trichy sight seeing and over night stay at hotel in Trichy. After breakfast proceed to Kodaikanal and after sight seeing over-night stay at hotel in Kodaikanal. After breakfast proceed to Madurai a famous Meenakshi amman temple and over-night stay at Madurai. After breakfast proceed to Madurai sight seeing and over- night stay in hotel at Madurai. After breakfast proceed to Rameswaram and check-in into hotel and after refresh proceed for sight seeing and overnight stay at hotel in Rameswaram. 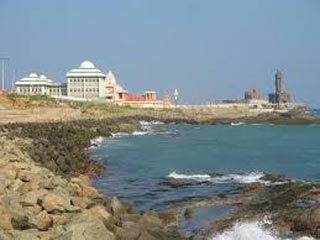 After breakfast proceed to Kanyakumari and check-in into hotel and after refresh proceed for sight seeing and over-night stay night at hotel in Kanyakumari. After breakfast check-out from hotel and proceed for drop at Trivandrum International airport (Its approximately 3 hours journey). Tour concludes and see off by our representative.